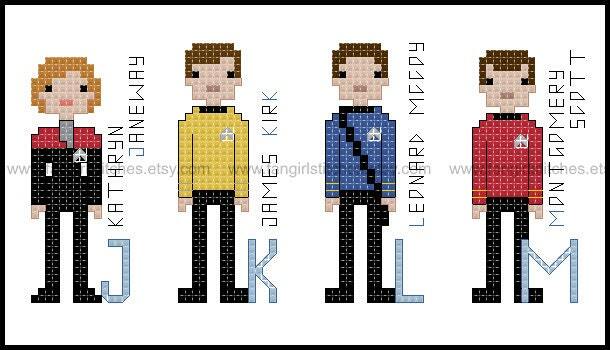 Live long and prosper and boldly go where no man has gone before. 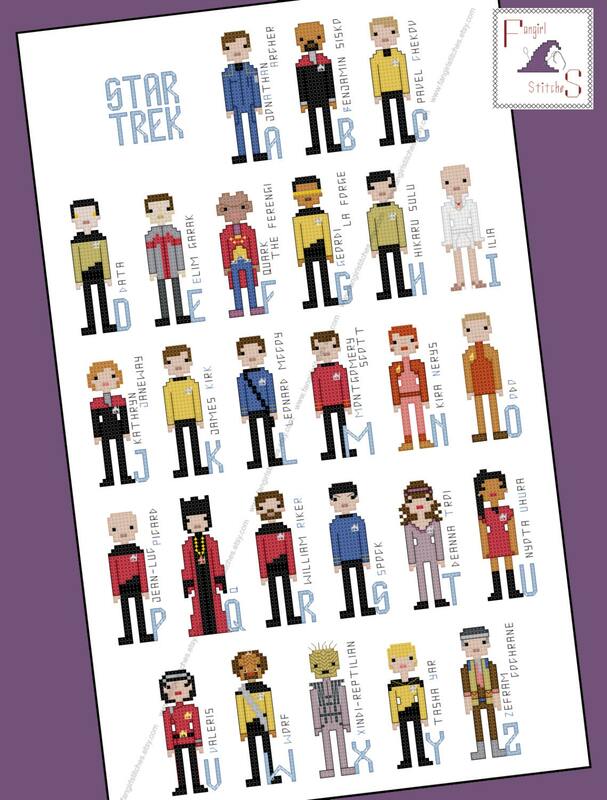 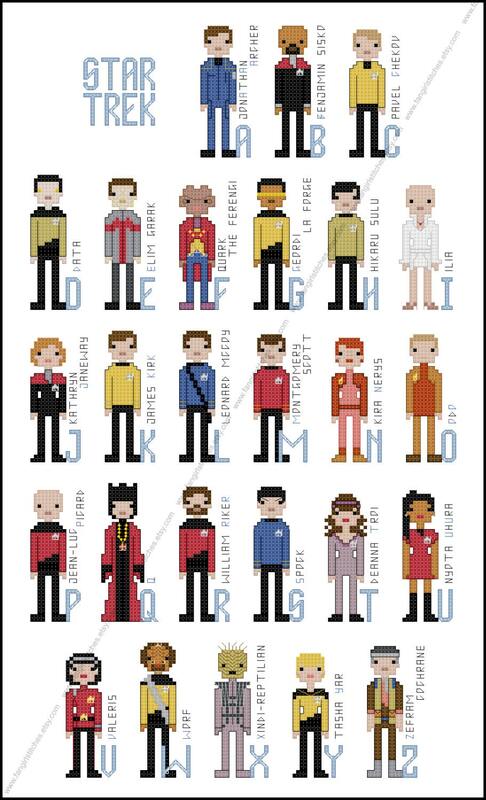 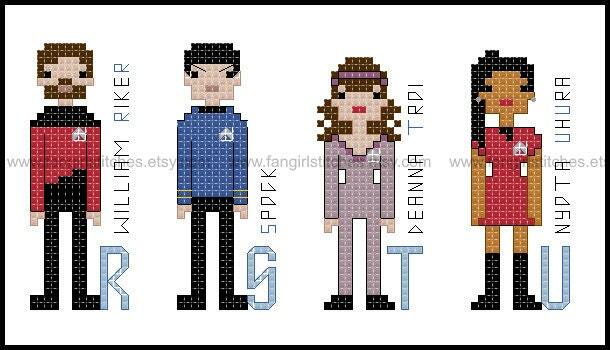 Introduce a whole new generation to the Star Trek universe with this alphabet cross stitch pattern. 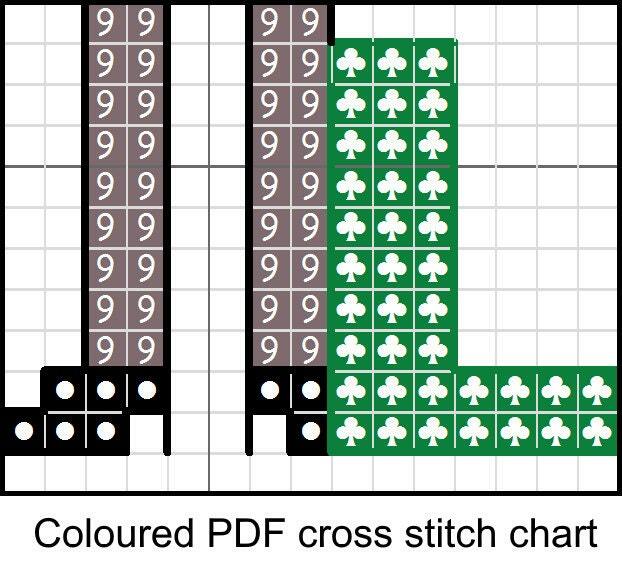 This design includes whole stitch, fractional stitch, and back stitch, and a few french knots and is suitable for intermediate stitchers.